The LISTA Initiative is the world’s first tablet-based financial education program It is designed to help poor women living in rural areas to access information and training that will help them make more informed decisions, all from the comfort of their own homes. 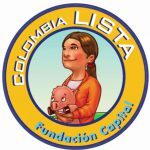 This self-teaching platform, pilot-tested in rural Colombia as a tablet-based app, teaches users how to navigate the formal financial system, receive tips on managing their household finances, and access a wide range of information despite geographic barriers. The app and its complementary distribution methodology have been designed as a scalable solution for promoting financial inclusion, with the additional benefits of empowering women, creating positive externalities within the family nucleus, and helping to create lasting and sustainable solutions to poverty alleviation. The LIFT Initiative is particularly useful for large government social programs, as their distribution channels facilitate targeting and scaling up.